T-minus 48 hours or less. Questions answered, thoughts thought. YIKES! It’s midnight Thursday and I am leaving before noon on Friday. Here’s what’s going on in my mind – vis-a-vis questions that other people have asked. #1 – Are you excited/stoked/fired up? Um. Really? Did you just ask that? Totally kidding but – most likely obvious. HELLS YES. #2 – Are you nervous/scared/worried? and it’s funny because I think that my slight snark on the above question would make this one appear obvious as ‘yes’ as well. But oddly I am not really any of the above. Maybe I am kidding myself in not being so. I did have a momentary attack 2 nights ago of “I’m not ready yet” but it was really quick. For me I have been highly transitional for a few months – living in temporary housing (™) so I have been kind of living out of a suitcase – a big one – but still a suitcase. Maybe this has helped. #3 – I can’t believe you are going for a whole year! Doesn’t that seem like a long time? The answer to this is unquestionably yes. Even though time seems to fly as you get older a year still feels pretty big. Making a year into an adventure like this makes it seem bigger. Making reservations for plane tickets from South America to Africa or renting an apartment in Buenos Aires as part of that year. These are real actions that we are taking but even though they are unquestionably real plans with real documents/deductions from banks/items on credit cards/entries on our spreadsheet – it still has a very surreal effect to make it seem like even longer than a year at home. For me this is intentional. I want to make it the biggest year of memories that I have had in.. forever. I want to remember hundreds of days from this year in explicit detail for years to come. The longer time we can make this year last – IE the more experience we can extract from it – the more I think we will feel gain from it. #4 – What place/site/city are you MOST excited about? See last post – sleeping in a pile of lemurs in Madagascar. #5 – Are you serious about #4? Fortunately or unfortunately no. 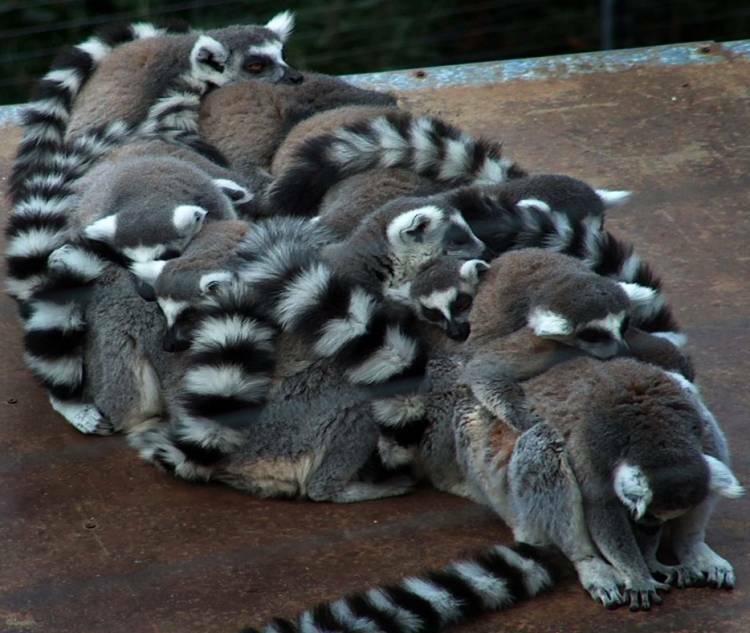 I do realize that while lemurs sleep in piles, that I am not invited to the sleepover and they probably carry diseases. But on the serious side of that answer I really love watching the animals on this planet and will be incredibly excited to see them in places outside of zoos. Africa and Madagascar are probably top on the list. #6 – Won’t you miss (us) your friends (as in you the readers)? I am 99% sure that Katie would answer this differently – so this is all me. Let me start by talking about how I was lucky enough to travel for around 9 months total in the 90’s – one 3 month trip and one 6 month trip. It was less than 20 years ago but it may as well have been 100 years ago because the communication possibilities were the same – I tell people that I lived the life of an outbound stream of postcards. No internet, no email, no texts, a phone call from anywhere that I was cost something like $2-$10 per minute. I had no scheduled destinations or addresses and it simply wasn’t possible to contact me. I didn’t speak to anyone at home until I had an injury to my ear in Indonesia 5 months into the trip and called Claudio to check with his dad because I didn’t trust the doctor. Outside of that it was no contact. None. The postcards allowed my friends and mom to know I was safe but it took days for them to get them. Fast forward 2014. We have a GPS tracker which posts to Google maps (awesome gift from Katie’s brother :). We have unlimited texting and data where ever there is a signal in 100 countries (which will represent essentially 90%) of our trip. We can check in to Facebook, we can post to this blog, we can publish pictures of what we are seeing and doing, we can chat, we can facetime, we can Skype. I won’t throw ‘sadly’ into this sentence (although I .. sorta did ..) but – on the flip side and in a good way – we are connected to you. Sure – I love to have dinner with you (whoever you are!). I love to drink a beer with you (whoever you are again!). I love to go to your party …. or meet you for karaoke (special nod) …. or go for a bike ride with you – but – in reality – with how busy we ALL are – those things don’t happen as remotely often as any of us would like – you know it! So, to answer that one – I will miss you as much as I miss you now – I am excited to see you in person – but – I am also excited to see you on line – I have entirely jumped the shark in that I feel close to so many people without seeing them for ages and ages. You will be with me the way that (like it or not) we are all more connected than the times we’re physically connected. This is an interesting topic for me but it’s come up a lot. People have a ton of questions when we tell them about the trip but this one is more frequent than I would guess. It’s phrased as something like this – “Wow – isn’t that hard to pack everything up” – I wish I had a recording of someone asking because I know it when I hear it – the intention of the question is … I guess it’s more along the lines of “How can you just leave everything behind” – but separate from the question about friends and definitely about ‘things’. – and here’s a great one that just popped into my head and is an example but is exactly what someone said One friend said – “Oh my gosh, I would miss my bed so much. I can’t imagine sleeping on totally different beds for a year”. (although I give credit for this as sort of a bad example – we spend so much time sleeping and it’s so important that it’s something I could see asking) …. In a simple answer – No. I just can’t imagine that coming into play. I think it’s going to be so exciting that there will be no time that I miss something physical from home. I know that there will be challenges. I know there will be times that I will be thinking “When is this bus going to drop us off?”. I know that there is a good chance that one of us will get some sort of food borne or otherwise generated sickness (despite being shot full of vaccines) – but I don’t really forsee pining for my [yyyyyyyyy]. #8 – That said – what will I miss the most? Just to reiterate – I am removing friends and family from this question because I will be with you and you will be with me much more than in spirit – so I don’t include that – it’s just – non humann things – like – I could say “I will miss Wine Vault and Bistro” (our fav restaurant) …. but I won’t … because we’re going to have the best medley of different food you could imagine! So – when push comes to shove – I think I will miss driving in my Golf Cart. Really. 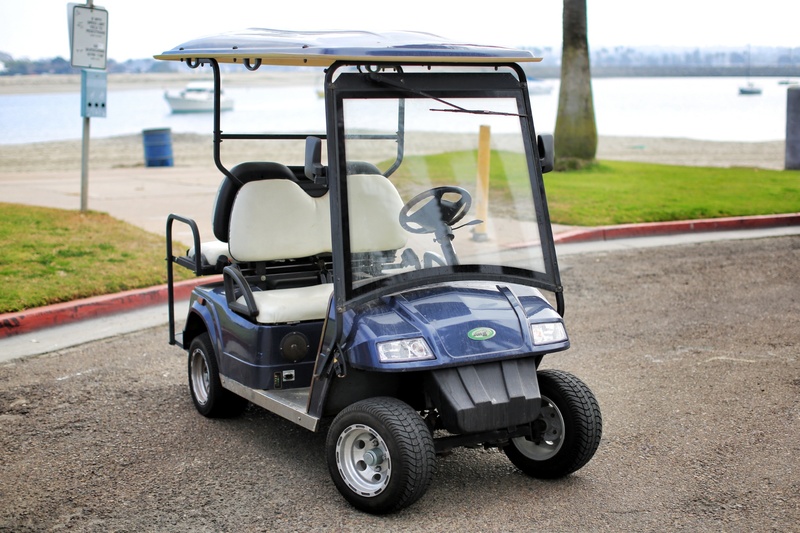 If you have the opportunity to buy a street-legal golf cart (must be electric) and have it be your primary vehicle for years, two words – do it. It’s the little things. #9 – Frequently lists come in 10’s – you are only at 8, you have nothing left. How do you feel about that? I’ve felt better and or worse about things. #10 – So, given the last question – would you say that you included this question just to get to question number 10 – and if so can you comment on that? Yes, No. I will think of you two every day and enjoy the posts. You are right- we are all SO much more connected this time in the world. I often think about how a young person might decide to go to America from Europe back 200 or 300 years ago– sometimes you basically never heard from them again. especially if they were illiterate. I always wondered how mothers dealt with THAT!